“How do I love thee? 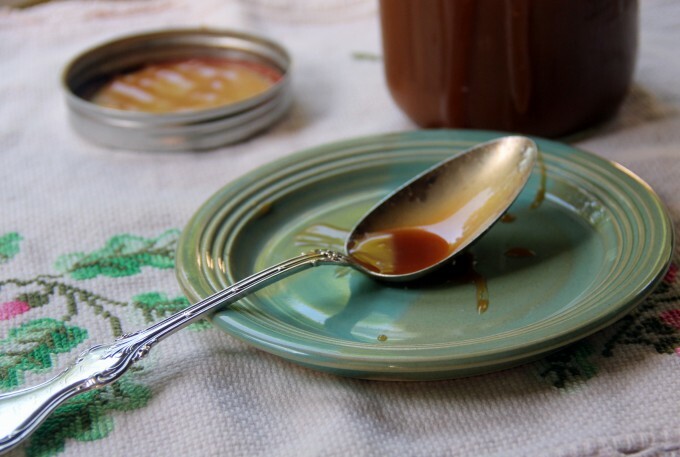 Let me count the ways…” Just a little taste of this homemade caramel sauce, and you will close your eyes and slowly savor the sinful, creamy feel of the luscious sauce. You will want more and you will start looking for pound cake or cookies to drizzle it on. And then you will think, “Drizzle? Drizzle? 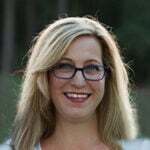 !” and you will slyly glance around to see if anyone is watching as you dip your spoon back into the jar and then place it right on your tongue, the buttery caramel sauce filling your senses as it slowly glides down your throat. You will close your eyes again and lean against the counter as ecstasy takes over your palate. Did I tell you that I’m writing a historical romance novel? Just fitting in a little practice on this beautiful morning! 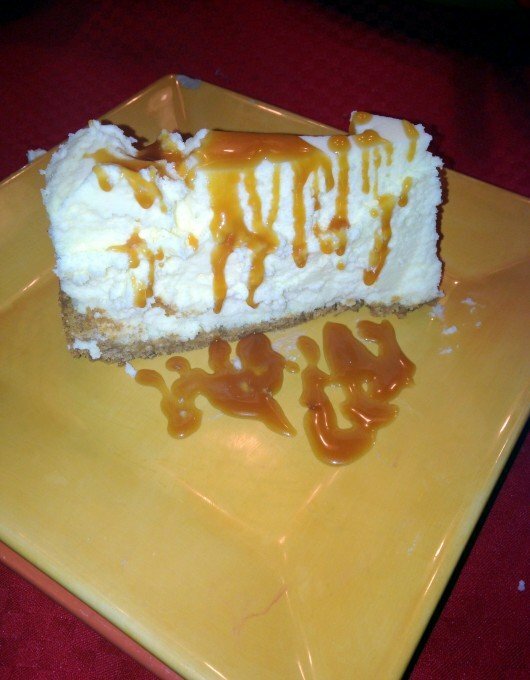 If you’re here because you’re looking for a shortcut to homemade caramel sauce, then you’re in the wrong place. 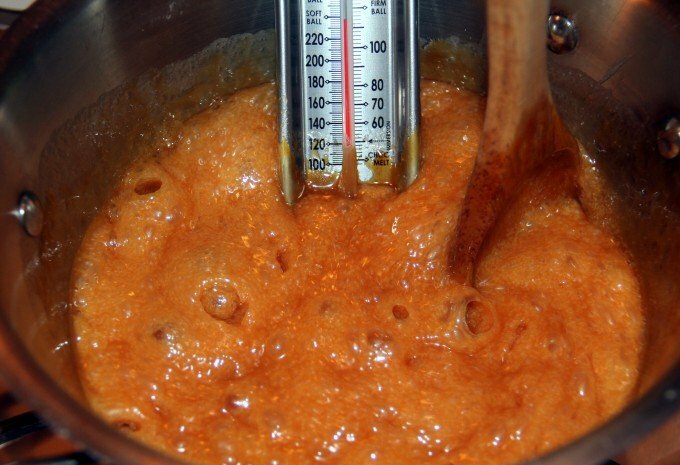 But don’t go…I promise you that making real caramel sauce with caramelized granulated sugar is not that difficult. You can do it! You need sugar, butter, cream, vanilla, and a dash of salt. That’s it. One small skillet, preferably cast-iron, and one large sauce pan. A candy thermometer is great but not absolutely necessary—although I recommend using one and I always do because I have a tendency to get distracted. You’ll cook 1/2 cup of granulated sugar in a small skillet on medium heat, until the sugar is melted and a nice amber color. You can stir a little once the sugar starts melting, but for the most part just let it cook and shake the pan every few minutes. 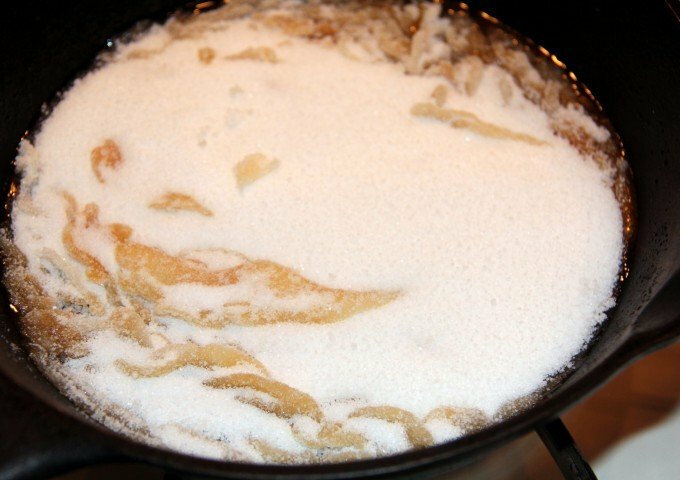 At the same time the sugar is cooking in the small skillet, place butter, the remaining sugar, and one cup of cream in a large saucepan and heat on medium. This is the pan where you will place your candy thermometer if using one. Once the sugar in the small skillet is completely dissolved and has reached a nice amber color, it is ready. 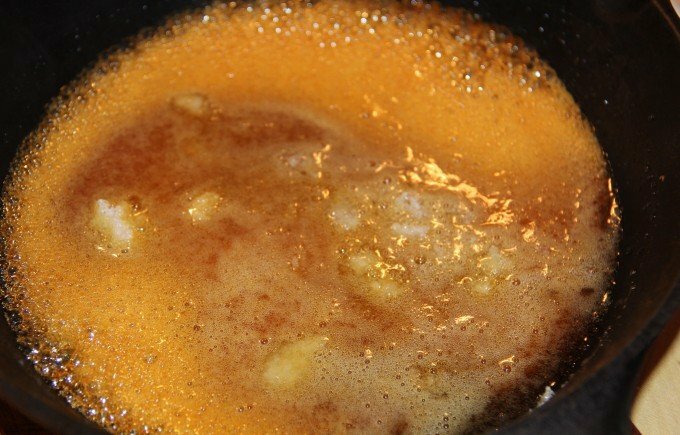 Remove from heat and pour in the saucepan full of melted butter, sugar, and cream. Cook on medium to medium-high until soft ball stage. If you don’t have a thermometer, cook for about 7 minutes then start testing every minute. 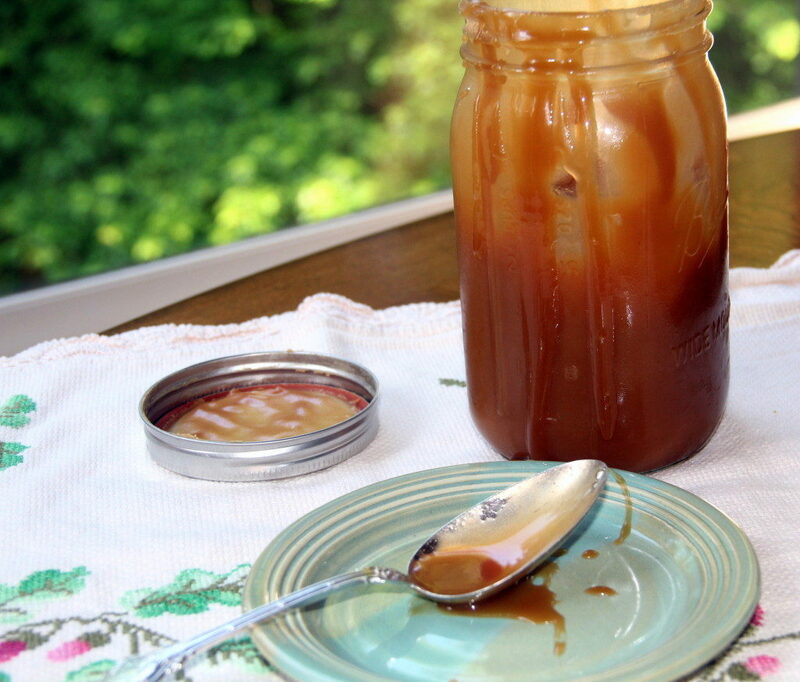 Drop a small spoonful of caramel into a glass of cold water. If it forms a ball then it’s ready. Once the temperature gets over 220°, it will rise and reach the correct temperature quickly so you have to pay close attention. When it’s ready, remove from heat and stir in the vanilla. Allow the caramel to cool for 5-10 minutes, then stir in the remaining cup of cream. And then you can drizzle it on just about anything. Or just eat it with a spoon. It’s that good. 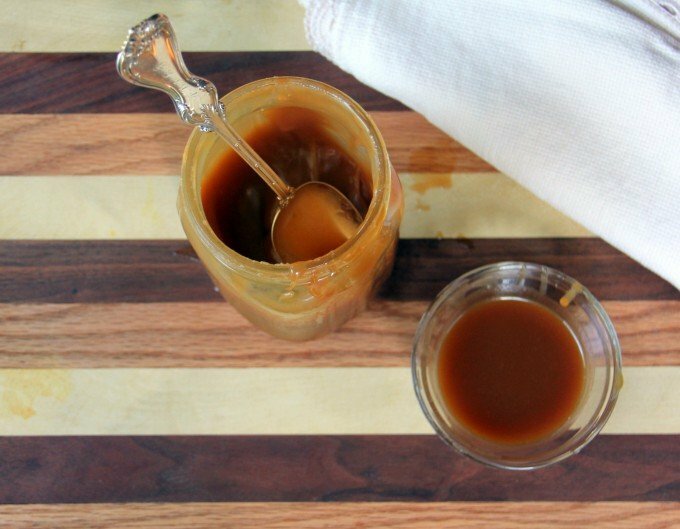 Creamy, buttery, homemade caramel sauce that you can drizzle over ice cream, cheesecake, cream puffs, or just eat with a spoon. It's amazing. ***This recipe has two pots going simultaneously, so please read through the entire recipe and have all ingredients ready prior to starting. 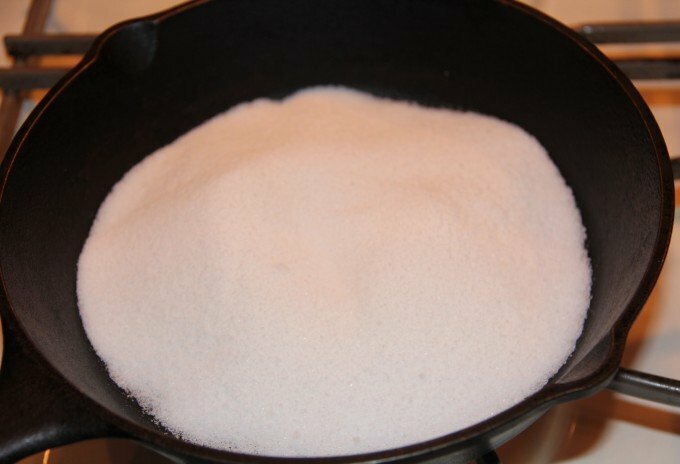 Be sure you have good pot-holders as the sugar mixture can bubble slightly when you pour in the dissolved sugar. I did not see, does this require refrigeration for storage? How long does it keep? Just delicious! Served over apple pie for Christmas dinner. Everyone LOVED it! Thank you. 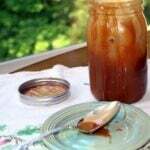 I have never made my own caramel sauce and have always wanted to. I will have to give this a try. I was always frightened of the recipes where they added in the cream towards the end and it bubbled up on you. Does this recipe not do that since you are waiting for 5-10 minutes for it to cool before adding the cream?? It will bubble some when you add in the caramelized sugar, and a little when you add the vanilla but should not be too bad. Just use a large saucepan and of course hot pads to hold it and you should be fine. I have never been burned when making this. The cream does not bubble at the end because it has cooled for a few minutes.